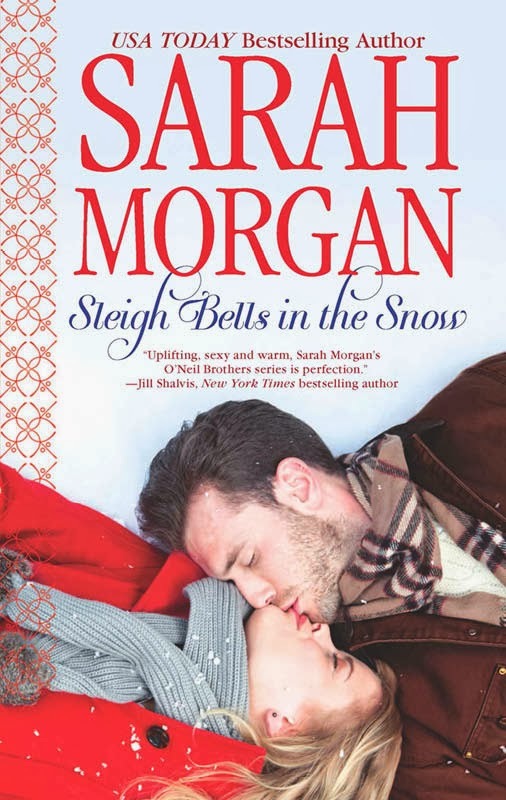 ﻿ Fab Fantasy Fiction: Five tree-top stars for Sarah Morgains Sleigh Bells in the Snow. Five tree-top stars for Sarah Morgains Sleigh Bells in the Snow. From the moment I started reading the first book in Sarah Morgan's new series, the O'Neill Brothers, I was hooked. 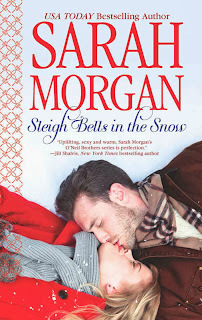 Sleigh Bells in the Snow is a wonderful holiday romance featuring a transplanted citified, workaholic Brit based in Manhattan, Kayla Green, and a businessman/Yankee/champion skier, who's also a hunk, Jackson O'Neil. When Jackson hires public relations expert Kayla to restore his families Vermont resort to solvency, Morgan makes sure we know there is a mutual attraction between the two of them - even if both of them try to resist it. I adored Kayla's cluelessness as to dress for a Vermont winter, however found it almost too clueless. Could anyone not realize you don't wear 4-inch heel boots to a country resort? I guess city folks are different and Kayla only seems to know London and Manhattan (she's the type that I don't think has visited any of the other boroughs of New York City). What's also apparent about Kayla is her absolute intolerance of all things Christmas. Once she arrive at the Snow Crystal resort though, it's hard to remain distant when Jackson's family first seem to berate her - and then embrace her. I loved the addition of the little miniature poodle Maple - and her backstory - as well as the hints about possible loves in Jackson's two brothers lives (books to come). And in full disclosure, I'll admit to a gregat deal of empathy for a public relations maven (Kayla), who seemed to never be able to disconnect from her clients - even on dates. Morgan is an author who always delivers and I found her writing about a quintessential U.S. setting as convincing as her books set in Europe and Britain. She is able to really make you care about her characters and the outcome of their lives. I found this book actually to be in many ways inspirational and perfect for the holiday season. Suddenly Last Summer, the next book in the series about French chef Élise and Jackson's twin brother Sean, will be published in June 2014 and can be pre-ordered now.